Use these tips to help prevent overspending this Christmas, especially if you are already struggling with debt. Christmas is nearly here. It’s the time for giving, but Christmas can be no fun if your overdraft grows along with your waistline. One poll in January found that the average Brit borrowed almost £400 to spend on gifts, food and travel last year. And most struggled with a debt hangover the lasted until April. The cost of presents can quickly stack up. Work out how much you can afford to spend on each person and stick to those limits. Don’t feel pressured into spending more on people. Manage expectations and, if you can, get together with friends and family and try and agree how much you will spend on each other. If your budget is really tight, ask if its ok to celebrate the holiday without gifts. If you haven’t agreed an overdraft with your bank and you need to spend money that you don’t have, you should avoid dipping below your balance. Using an overdraft can be an expensive way of borrowing, even if it is authorised. You may be better off using a credit card or getting a short-term loan from a credit union, but always check the repayment rate. It can be tempting to use buy-now-pay-later credit schemes to buy presents or other Christmas goods, but these are usually more expensive. You may be better off paying for things up front where you can. This is also true for mobile phones.You can often buy a handset outright and get a low-cost sim-only plan for significantly cheaper than a monthly contract. If you are going to put Christmas costs on a credit card, make sure you shop around and compare terms carefully. Money Saving Expert has some good card comparison tools. Remember, that some cards have higher interest rates, but also give you interest-free periods or discounts. Budget for all of your credit card costs and keep track of payment dates. 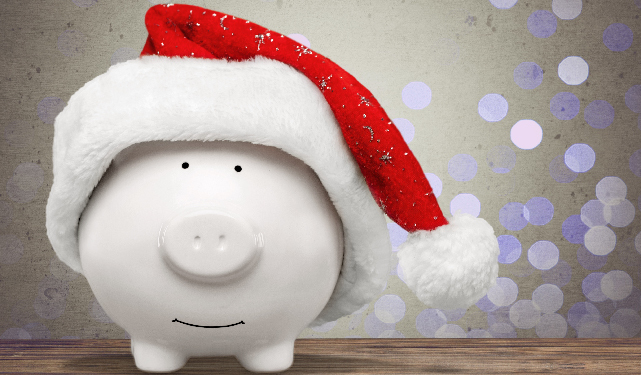 If Christmas 2018 stretches your budget to the limit, it makes sense to start planning and saving for the next holiday season. Christmas can be expensive, but if you budget properly and put a little aside each month then you can make next year the merriest Christmas yet. If you are struggling with problem debt, speak to one of our advisers today. Call: 0800 611 8888.